San Francisco, California – Khalis Foundation, a volunteer-based group of Sikh services, organizations and individuals from around the world, has launched a scholarship for students 16 and older in memory of human rights activist Shaheed Bhai Jaswant Singh Khalra. The Jaswant Singh Khalra Memorial Scholarship was founded in the memory of Sikh martyrs who gave their lives for freedom from the 1970’s to the 1990’s. The first scholarship prize is currently for $1000 US and will be awarded to an essay writer anywhere in the world who is currently a student, 16 years old or over. A second prize of $500 and third prize of $250 will also be distributed. The essay topics are related to current panthik developments and the state of the Sikh nation worldwide. Applicants must also provide a brief biography on how they became inspired to practice Sikhi. In the latter part of the 20th century, the Indian Government brutally murdered and tortured hundreds of thousands of innocent Sikhs in a mass campaign to wipe them out. Many Sikhs fought against this oppression and spoke out against being treated as second class citizens—their protests were answered with torture and genocide. 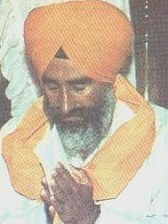 Jaswant Singh Khalra, a journalist, was one such man who was killed by government officials for documenting human rights abuses. More information about the scholarship and the application are available at http://khalisfoundation.org/projects/scholarship/. Founded in 2000 by the creators of some of the first Sikh websites ever, the Khalis Foundation was built due to an increasing need for unity in the Sikh community and appropriate representation of the Sikh teachings and values–with a focus on new technology. The foundation is dedicated to gurmat education, which is based on the principles taught and the lifestyles lived by the Sikh Gurus. This is done through education, websites, apps and printed publications and pamphlets. Khalis Foundation is looking for sponsors to grow the scholarship endowment. For more information please email scholarships@khalisfoundation.org. Your donations help with projects such as this, visit http://www.khalisfoundation.org/donate.